Victoria Pendleton CBE is a jockey and former track cyclist. Victoria is Great Britain’s most successful female cyclist of all time. Inspired by her father who was a grass track and hill climb champion, Victoria started cycling at a very young age. By the age of 9 Victoria started grass track racing with her twin brother Alex as a hobby. She started to show potential and was spotted at the age of sixteen by the assistant national track team coach. However, despite his efforts to encourage her to train, Victoria decided to concentrate on her education. Whilst studying at the University of Northumberland she also started to train more constructively for track sprinting. In 2001 and 2002 Pendleton competed at the European Championships and also the Manchester Commonwealth Games. Due to her incredible potential, she was sent to the UCI World Cycling Centre in Switzerland in the lead up to the Athens Olympics. Unfortunately, the Athens Games came too soon for Victoria and so disappointed with her performance, she considered quitting the sport. Persuaded to continue cycling by British Cycling sports psychologist Dr. Steve Peters, Victoria stayed on the programme, living and training in Manchester with the rest of the elite Great Britain Track Team. The following year Victoria won her first World Champions Rainbow Jersey at the 2005 World Championships in the individual sprint. That first rainbow jersey set her on the path to greatness and she went on to win a total of 9 World titles. In 2007 she achieved the unique feat of winning all three women’s track sprint events (Keirin, Team Sprint and Individual Sprint) at the World Championships. 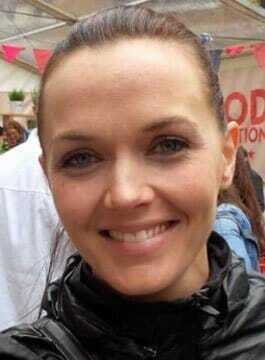 In the form of her life, Victoria Pendleton won Gold at the Beijing 2008 Olympic Games. The next four year Olympic cycle was challenging for many reasons, on and off the bike. However, in 2012 Victoria regained her World title in the individual sprint in Melbourne. Furthermore, she demonstrated her class and strength of character at the London 2012 Games winning Gold (Keirin) and Silver (individual sprint) ending her competitive career in style! In March 2015, Pendleton announced her intention to become a jockey. With guidance from horse trainer Paul Nicholls, her aim was to compete at the 2016 Cheltenham Festival. She made her competitive debut in August 2015, finishing second in the Betfair Novice Flat Amateur Riders’ Handicap at Ripon. She won her first race in March 2016, guiding 5–4 favourite Pacha Du Polder to victory at Wincanton. Later that month, she achieved her ambition of participating in the 2016 Foxhunter Chase, at Cheltenham, finishing fifth. She described the result as “probably the greatest achievement of my life“. Victoria is extremely eloquent and intelligent who is as comfortable in a corporate environment and with the media. Victoria Pendleton is available for Q&A led motivational presentations.